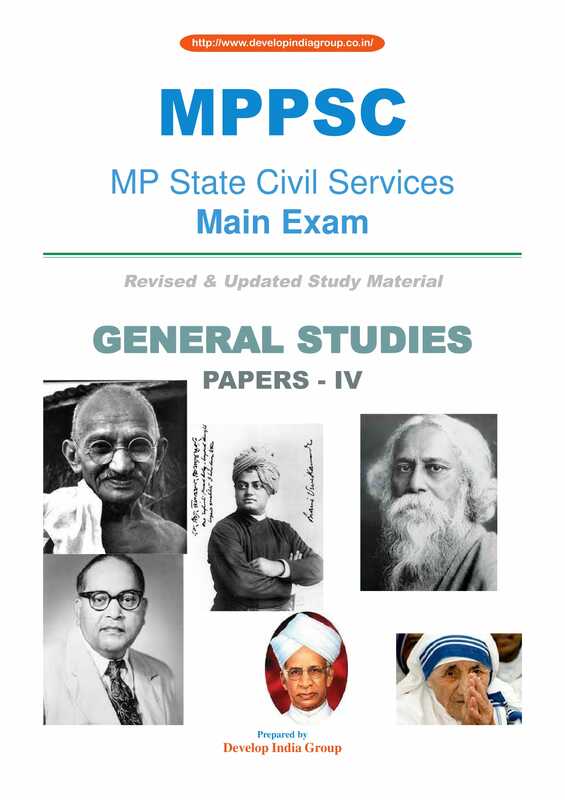 MP PSC State Services Main Exam 2018 had conducted from 23 July to 28 July 2018 at various exam centres across the state. The result of the preliminary exam was declared on 18 February 2018. 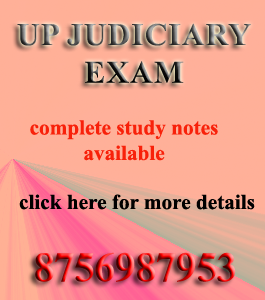 A total of 4907 candidates have been shortlisted for the main exam. 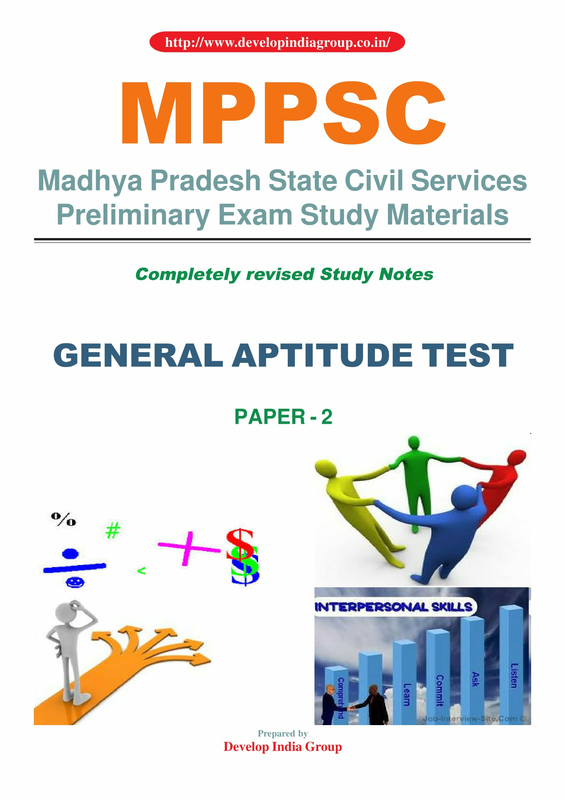 The commission aims to fill 298 vacant posts in various government departments of Madhya Pradesh through this examination. 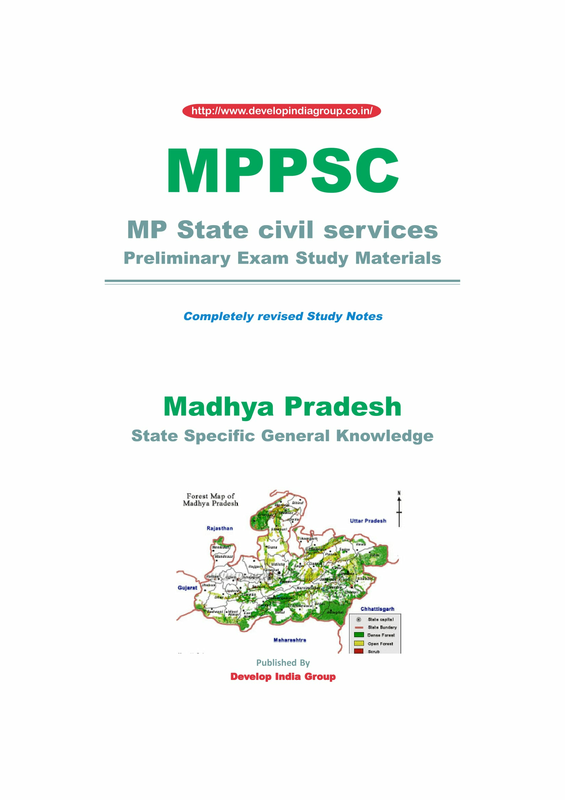 Madhya Pradesh Public Service Commission (MPPSC) has announced notification on 12.12.2017 for the recruitment of 202 Deputy Collector, Naib Tehsildar, Excise Sub Inspector, Commercial Tax Inspector, Inspector, Transport Sub Inspector, Cooperative Inspector & other vacancies. 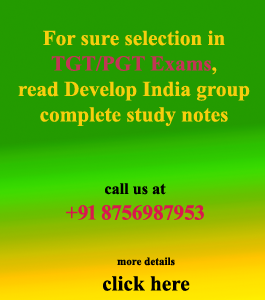 If you want comprehensive curriculum based study material, then "Develop India Group" will meet your needs in one place. 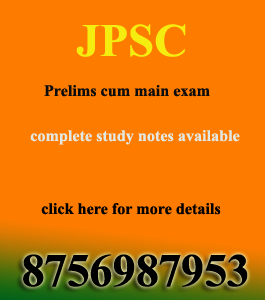 We will also provide guidance for strategic preparation for the success in competitive exams. We have prepare the study materials by the analyzing the pattern of the last five years papers. 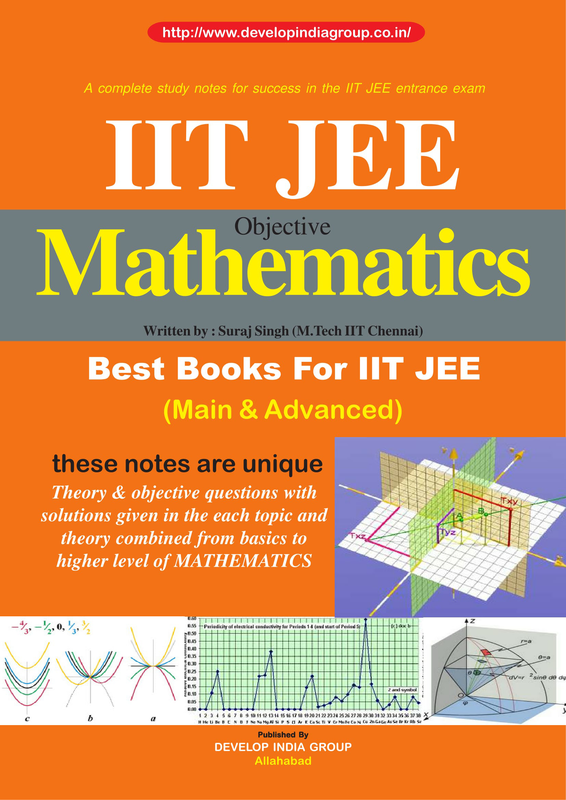 So that we could include issues all important issues in the preparing of the study material. 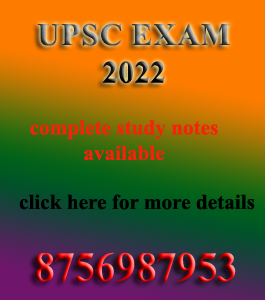 After analyzing the success of the past few years, we can say that Develop India Group is a top-tier institution, where 70-80 percent of questions are being asked by our study material. 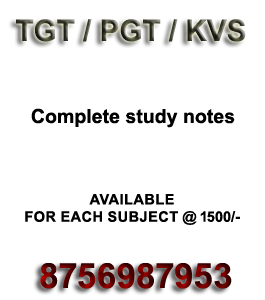 This is a major breakthrough for us and you can take edge over other competitors by the studying of Develop India Group study notes. इसलिए आज ही खरीदें और अपना भविष्य सुरक्षित करें. Educational Qualification: Candidates should possess Degree/ Equivalent from any recognized University/ Institution. Age Limit: Candidates age limit should be between 21 – 28 years as on 01-01-2018. 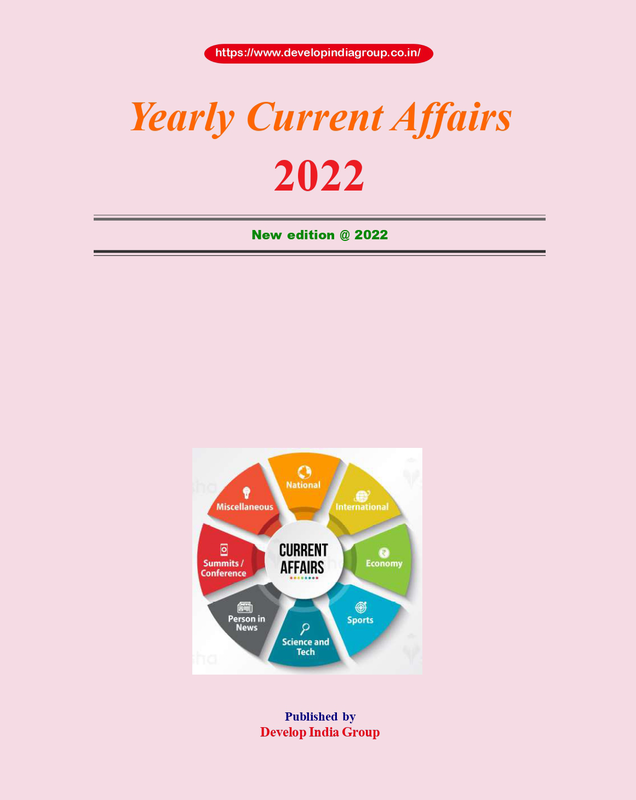 Age relaxation is admissible for Resident of Madhya Pradesh candidates as per rules. 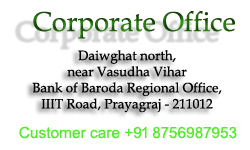 Refer the Notification for complete details. Exam Fee: Candidates should pay Rs. 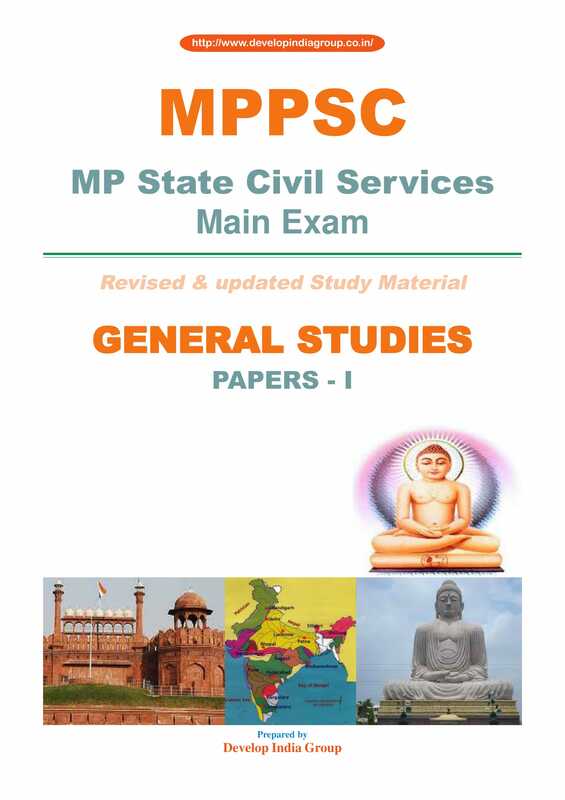 500/- for all others and outside candidates of MP State and Rs. 250/- for SC/ ST/ OBC candidates of MP State through online using Credit Card/ Debit Card (Like Visa, Rupay, Master Card/ Maestro card/ Internet Banking (All Nationalized Banks). For more details refer the notification. Note: All the categories candidates must pay Rs. 40/- (for Portal Fee). 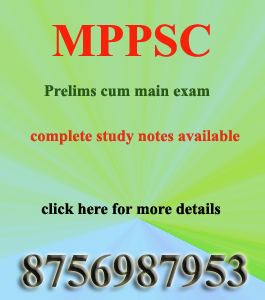 How to Apply: Eligible candidates may apply online through the website www.mppsc.nic.in from 18-12-2017 at 12:00 PM to 08-01-2018 till Midnight 12:00. 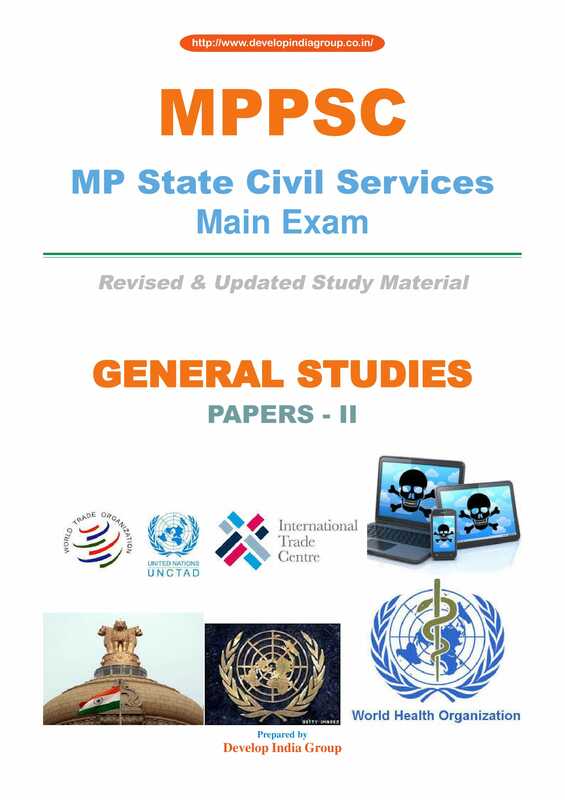 (1) State Services Preliminary Examination (Objective types) for selection of candidates for Main Examination. 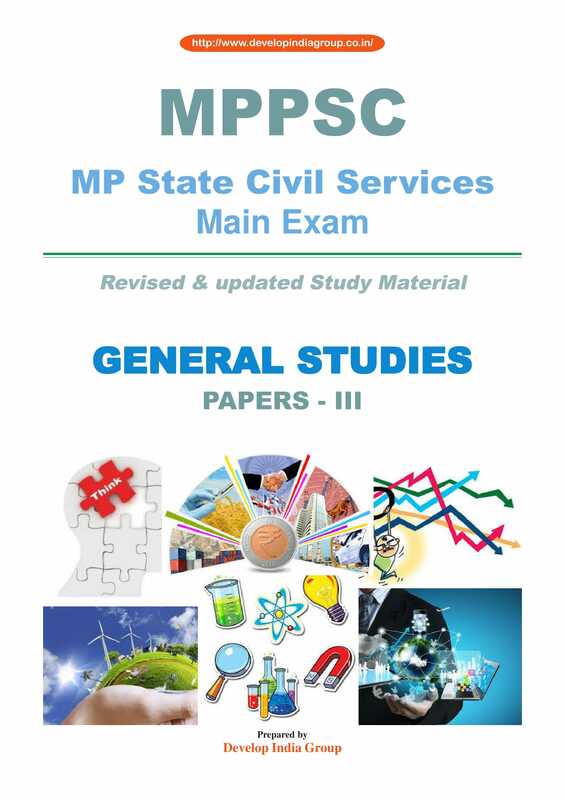 (2) State Services Main Examination (written and interview) for selection of candidates for the various categories of services and posts. Questions on general science and Environment (Environmental Ecology, Biodiversity & Climate Change) will cover general appreciation and understanding of science including matters of every day observation and experience as may be expected of a well educated person who has not made a special study of any particular scientific discipline. In current events knowledge of significant National and International level will be tested. 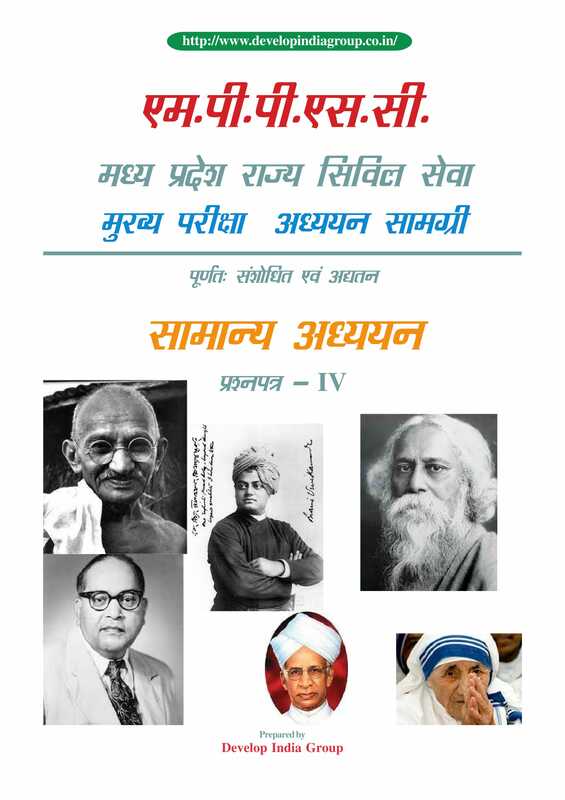 In History, questions of general knowledge related to social, economic and political aspects will be asked. Also, there will be questions on Indian National Movement and Development of Independent India. There will be questions of general knowledge relating to Physical, social and economic geography. It will also include questions on Indian Agriculture and Natural resources. There will be questions pertaining to demography and census of India. (b) General Geographical awareness of world. 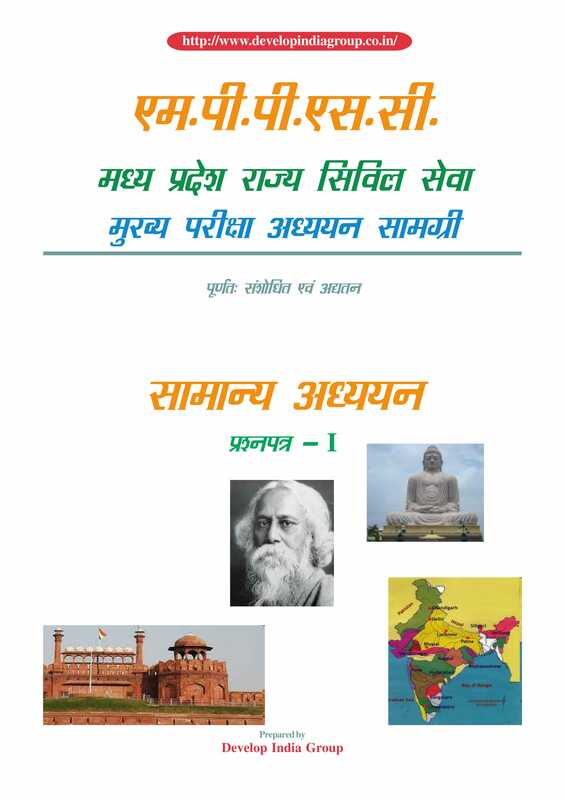 Political system and constitution of the country, Panchayati Raj, social system, sustainable economic development, elections, political parties, plans, industrial development, foreign trade and economic and financial institutions. Important games and sports tournaments, Awards, personalities and Renowned Sports Institutions of M.P., India, Asia and World. 7. 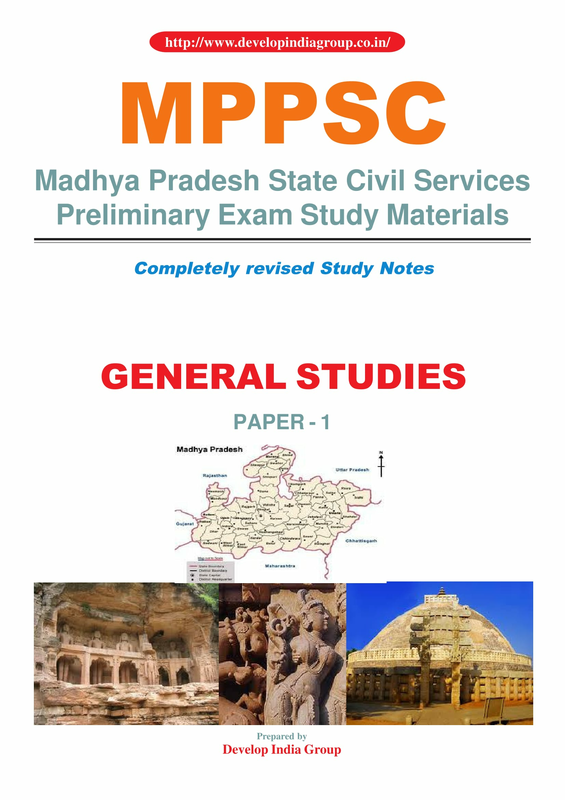 Geography, History and Culture of M.P. 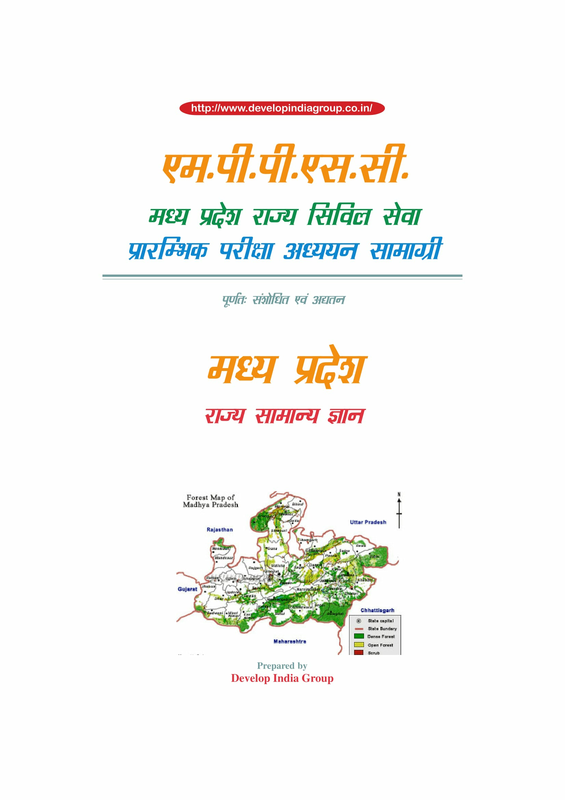 There will be questions related to the development of Mountains, rivers, climate, Flora and Fauna, Minerals transportation in the Geography of Madhya Pradesh . It will also have questions relating to important dynasties of M.P., Contribution of important dynasties in the Histroy & Culture of Madhya Pradesh, There will be questions on Tribals, Arts, Architecture, Fine Arts and Historical personalities of M.P. 8. 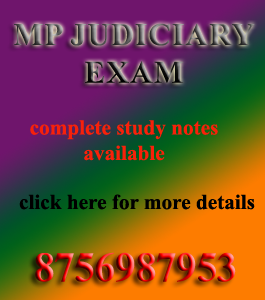 Polity and Economy of M.P. 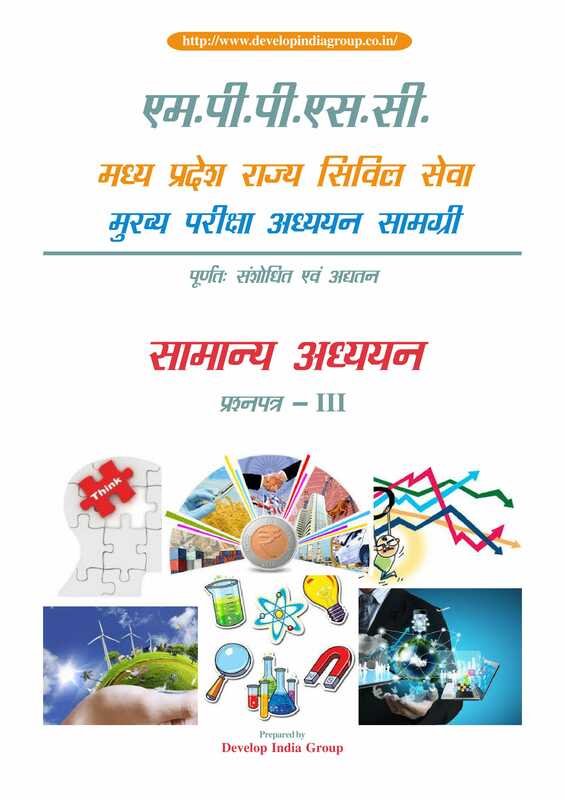 Political system, Political parties and elections, Pachyati Raj, Social system and sustainable economic development of M.P.. This will also include questions on Industry, Plans, Economic programmes, business, demography and census of M.P. Questions pertaining to characteristics, uses, and terminologies such as website, online, search engine, e-mail, video mail, chatting, video conferencing, hacking, cracking, virus and cyber crime. 11. The Protection of Human Rights Act, 1993. 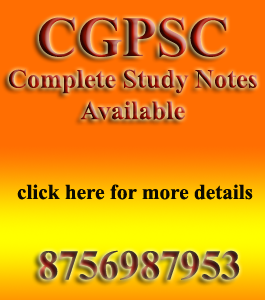 Note: - Question relating to Hindi Language Comprehension skill of Class X level will be tested through passages from Hindi language only without providing English Translation thereof in the question paper. There will be six question paper in this exam.